The season kicked off with an absolute doozy, as USS Callister tackled the pressingly current subject of VR technology in a typically disturbing fashion. Jesse Plemons and Cristin Milioti are terrific as the "God" and unwitting participant of a Star Trek-esque VR game, which becomes progressively grimmer the more we see of it. Even though the logic seems occasionally slippery, the tricksiness of the premise, hilarious style and great performances make it work all the same. Without spoiling it, the ending is a giddy delight, thumbing its nose at both J.J. Abrams' Star Trek movies and online gamers everywhere. 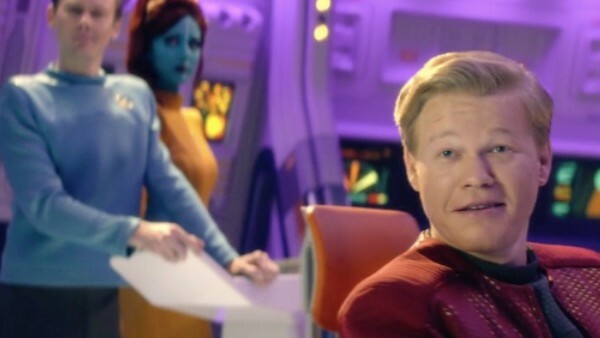 Trekkies of all kinds will love the episode's clear affection for the classic series, from Plemons' Shatner-esque performance down to the smaller visual details and Easter eggs.